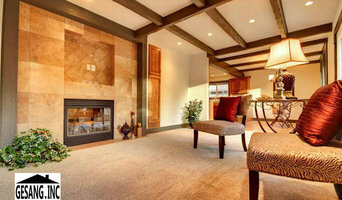 Renewal Remodels and Additions has been serving the greater Puget Sound area since 1996. We provide quality craftsmanship to fulfill all of your home remodeling needs, we specialize in kitchens, bathrooms and additions. Our skillful team is able to understand to your family's needs and make your dream home a reality. For more information about our services visit our website or call today. 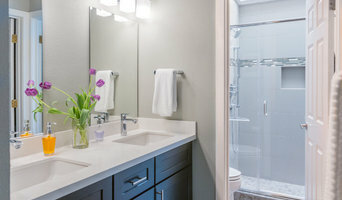 Washington State Kitchen & Bath provides quality construction/design services for Remodels, Additions, and New Construction in the Seattle and Western Washington region. Our Mission: Sockeye Homes is a leading custom construction company that serves clients who seek AWARD WINNING quality at LOWER PRICES. The 425 Magazine and South Sound Magazine recently named Sockeye Homes’ model home (located in lower-overhead Kent, WA) as the Northwest Idea House of the Year. Come check out the quality and cutting-edge features of Sockeye’s custom homes in person. Sockeye Homes builds custom homes in most parts of Western Washington and in select Eastern Washington counties. “Sockeye Homes Breaks 22 Year-old State Remodeling Award Record” The Building Industry Association of Washington (BIAW) congratulates Sockeye Homes on receiving 9 State-wide Excellence in Remodeling Awards in the 2012 competition. Sockeye Homes is the first company Since the 1990 Inception of the state competition to set this incredible record. The award winning remodel projects range from [Under $25,000] to [Over $500,000] proving that Sockeye Homes’ quality is not compromised at any price point. Gesang Incorporated specializes in custom home and remodeling projects for homeowners throughout the South Puget Sound area of Western Washington. Established in June of 2006, Pacific Home Source has been providing residential plans for new homes, garages, remodels, and whole house makeovers. We are currently part of more than a hundred projects per year. Starting out by siding and framing high end houses, Gabe quickly climbed to the top of the ladder in only five years. He knew then, he had to put down the hammer and begin thinking on a grander scale. Gabe began working full time with a small engineering firm gaining further knowledge and building experience, it took only five more years before all his time had become devoted to Pacific Home Source LLC. Since becoming established in 2006 we have been increasing our productivity and furthering our knowledge by attending classes through the Master Builders Association and National Association of Home Builders, the NAHB. We are now proud to be a part of the Better Business Bureau and look forward to hearing from you regarding your future build. Interior Concepts & Design, Inc.
Michael Bowman and Victoria Clark have partnered and bring over 40 years of interior design as well as retail experience to the marketplace. Our showroom and interior design studio is quite unique. Drager Architecture is an architecture firm located in Tacoma, WA. Although we are architects with experience in most types of projects, our focus is on the more personal design experience of the residential design project. We provide contemporary and traditional design solutions tailored to the unique needs of our clients. Our design work incorporates timeless proportion, scale and detailing. Our design philosophy centers around three essential architectural ideas: One - we must begin to emphasize efficient use of space allowing an increase in the quality of the structure and materials. Two - we must design buildings that respond creatively to the forces that influence that design; quality of light, scale of spaces, materiality, sustainability, context and budget. Three - We see our clients as an integral part of the design process. without a solid expression of their goals and vision, we cannot expect to succeed. These concepts come together in our work to create timeless architecture that responds to the demands of the site, environmental forces, the client's unique vision, the need for beauty and budget. Feel free to reach out to us, we would love to hear from you! When you hire Pacific Home Source LLC, you get professional results from professionals with experience in the building industry. Cornerstone has been drafting projects across North America for homeowners and professionals for 15 years. We pride ourselves on quality drafting services and superior customer satisfaction. 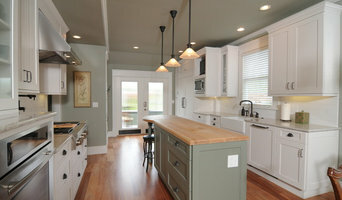 Design build general contractor specializing in remodels, kitchens, bathrooms, additions and custom homes. We have a full show room and design center in Puyallup Washington. Multifaceted renovations company with years of experience in classic remodel services as well as insurance work and fire board up throughout the metro areas of Olympia, Tacoma and Federal Way. We are an independent carpentry company specializing in residential remodeling, small additions, window/door installations, finish carpentry, decks, fences, arbors, and much more. We help homeowners transform their kitchens, baths & more, into beautiful, spacious, functional spaces. We have the experience to handle everything from a small remodels to whole home reconstruction. From design to completion, to every last detail, we provide quality products & exceptional workmanship. Our creative design team will turn your dreams into reality. John Buchan Homes is uniquely Northwest, with roots planted here in the early 1960’s. Our first community of homes were built on Mercer Island and before long, we were building throughout the Puget Sound, never losing focus on the Eastside. We have the pleasure of building homes for home buyers from around the world who say they sought us out by name, wanting the level of expertise we offer. We do more than simply execute plans. We add value by thinking through every detail, guiding and sharing our knowledge and expertise as we help our clients navigate a complex process. The emphasis for us is quality and is rooted in the culture and cohesiveness of our highly experienced team. Most of our staff and many of our trade partners have been with us over 20 years. We use advanced systems that maintain tight control of costs and schedules. Our knowledge, experience and the care we give each of our clients sets us apart. It’s about building a home that we can be proud of, that John is proud to have his name on and that our clients can be proud to call home.